Every year of the Chinese zodiac is represented by an animal, and 2017 is the year of the Rooster. 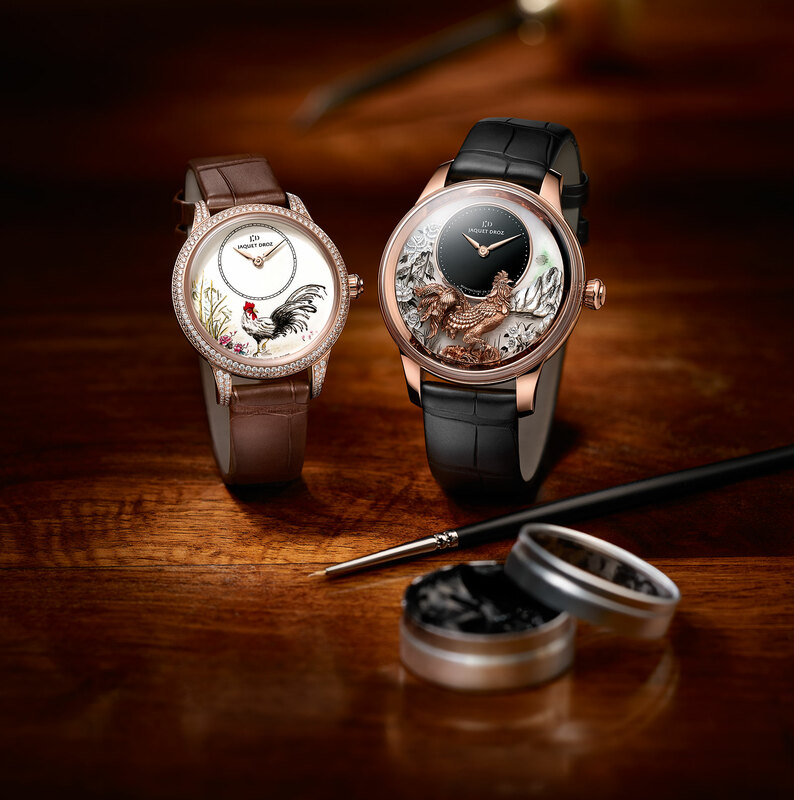 To celebrate the occasion, Jaquet Droz has introduced a quartet of Petite Heure Minute limited editions from the Ateliers d’Arts collection, with hand-decorated dials. All four timepieces are powered with the Caliber Ref. 2653.Si. A self-winding movement sporting a silicon hairspring and pallet fork lever escapement. The first duo from the collection is offered in 18K red gold. The men’s model comes in a 39mm diameter case, while the ladies’ model is 35mm and set with diamonds on the bezel and lugs. 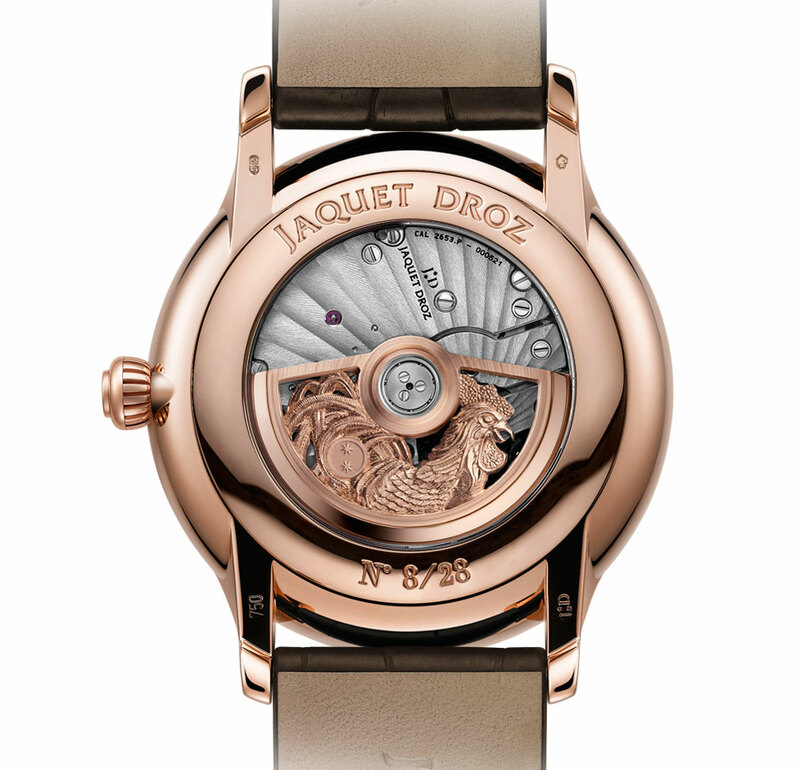 Each model is limited to 88 pieces only, with an 18K red gold rotor shaped in the form of a rooster. 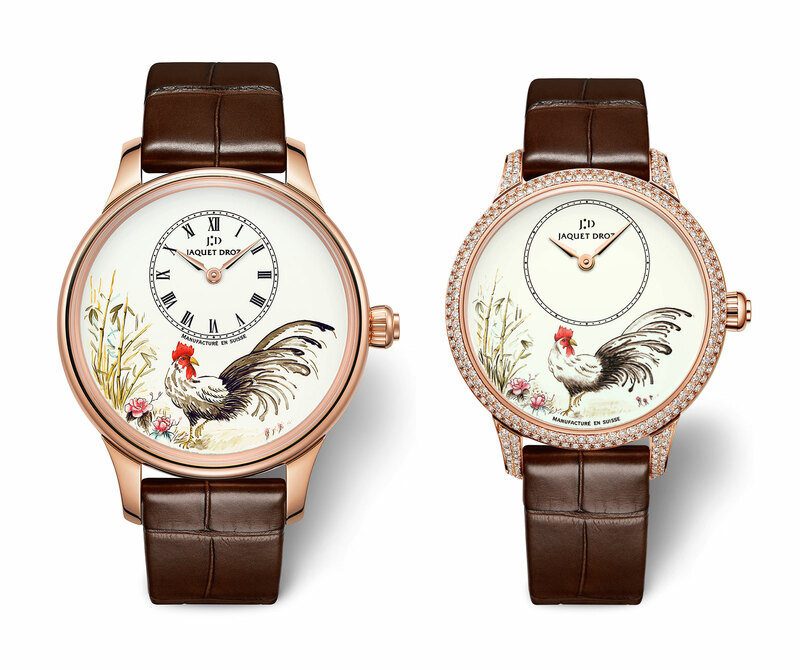 The 41mm in diameter model aka “Petite Heure Minute Relief Rooster” is limited to 28 pieces only. 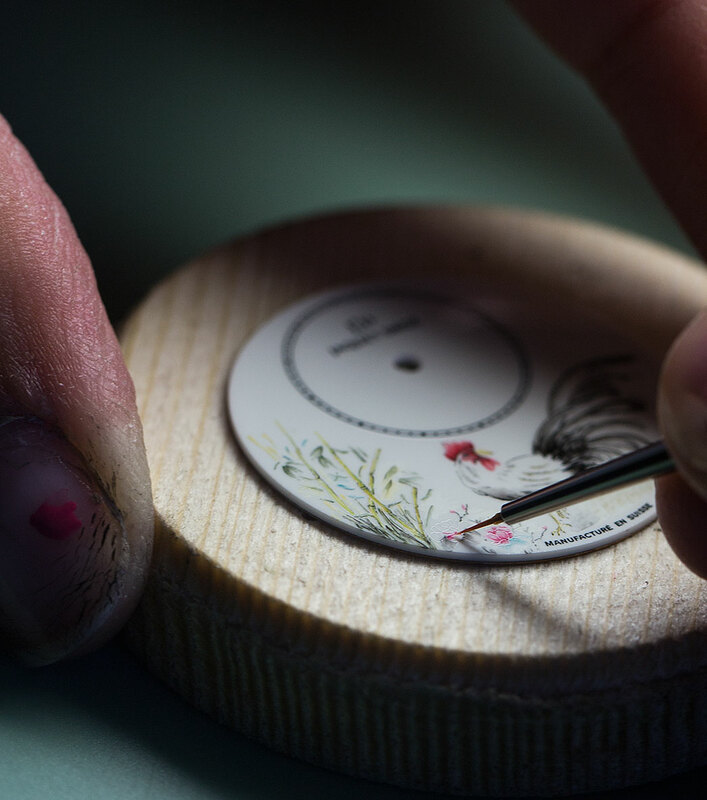 The dial of the model is jade with a flower and mountain engraved mother-of-pearl. 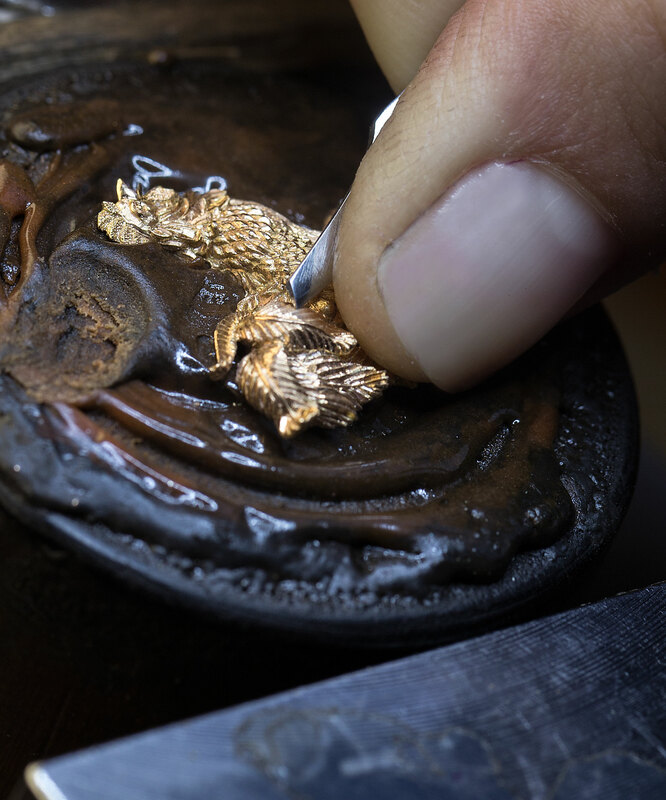 There is an 18K red gold rooster figure on the dial. 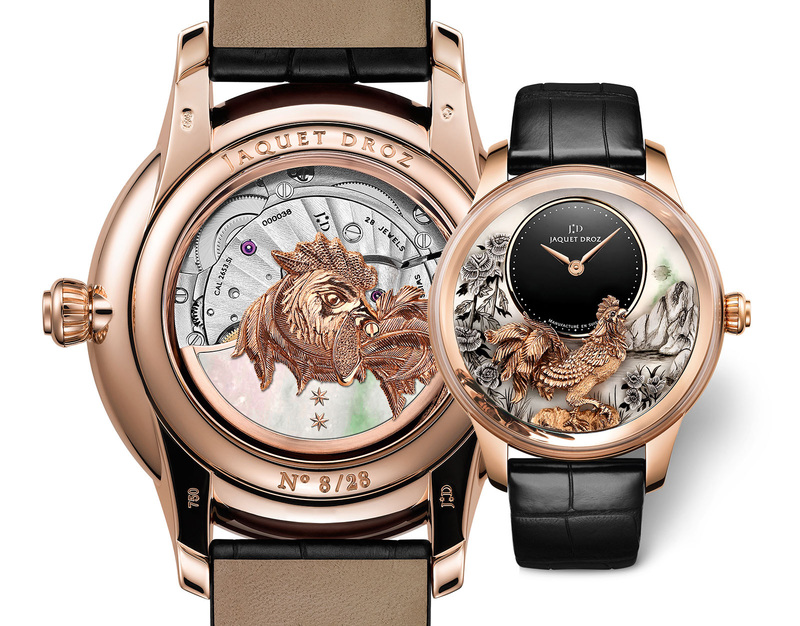 The flagship in the collection is the Petite Heure Minute Relief Rooster in 18K white gold. The 41mm diameter case is set with diamonds on the bezel and lugs. 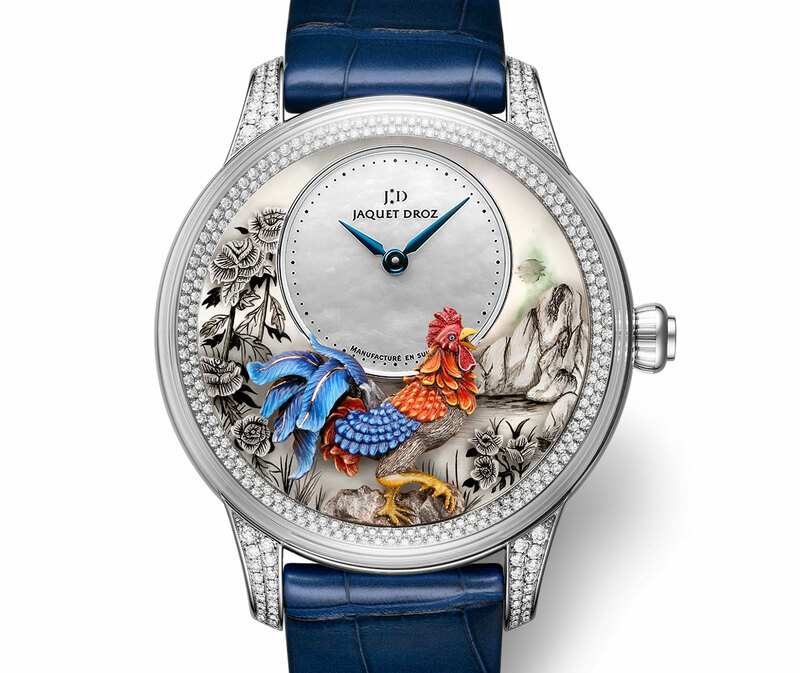 The dial is jade and engraved mother-of-pearl again, but the 18K white gold rooster on the dial is hand decorated with lively colors. The Year of the Rooster limited editions will be available starting January 2017.